The Sarsuna College aims at widening the realms of thoughts and the elevation of the human spirit that comes through curiosity and exploration of the immeasurable fields of knowledge. We have pledged to move towards perfection and take a stride forward to create a perfect human mind that thrives on the ideals of brotherhood, love, and compassion. We aspire to let their divine fire of knowledge purify and enlighten the human soul, to let this power invigorate and illuminate the hidden potentials of a budding mind. We wish to be the center of intellectual space where students discover and nurture their talent. 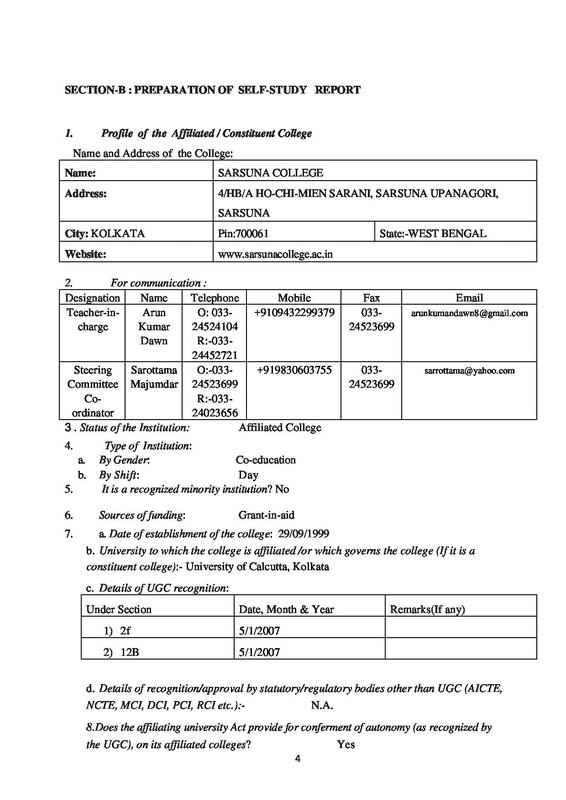 Why Join Sarsuna College, Kolkata, West Bengal? Brilliant Placement Record: In the past, the students have been doing really well because of guidance of the experienced faculty members who act as efficient counselors, who are eager to help them choose careers matching their goal, ability, and aptitude. In 2010, a total of 16 students got good jobs from campus placement among which 14 got placed in the highly reputed HDFC Bank as System Developer Manager and the other two got placed in HCL and Wipro as Network Administrator and in BPO sector respectively. In 2011 as well, 16 students got campus placement in TCS, IBM, etc. In 2012, 28 students got placed in the previously visiting companies and a new company SBI LIFE also. As it is pretty much evident from the data that each year the placement is increasing and making new records. The focus of the college always remains on laying a strong foundation, and it is always followed by success. 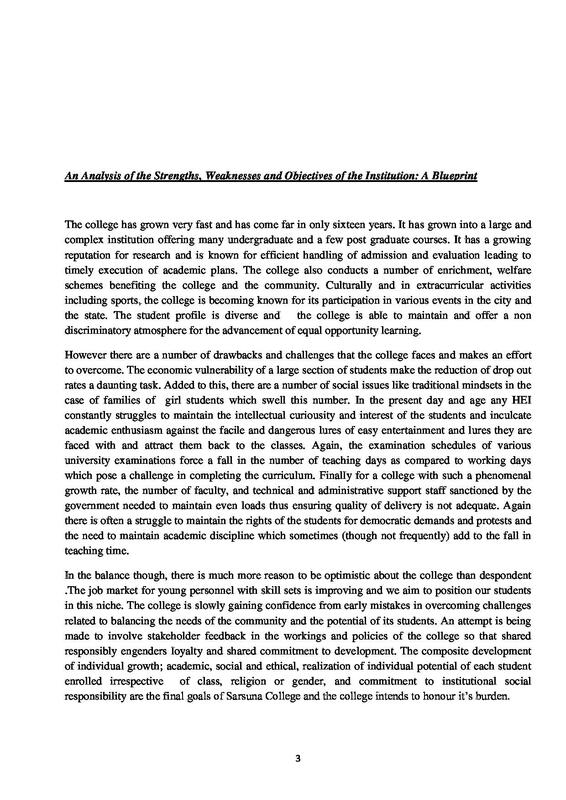 Grievance Cell and Student Union: There are 2 cells in the college for the welfare of students, to address their needs and concern and also to bridge the communication gap between the student and the teaching staff and promote a healthy and friendly relation between them. I am married woman.so I wanot to study private.and I have ha passed in 2016.then how to apply at your college. 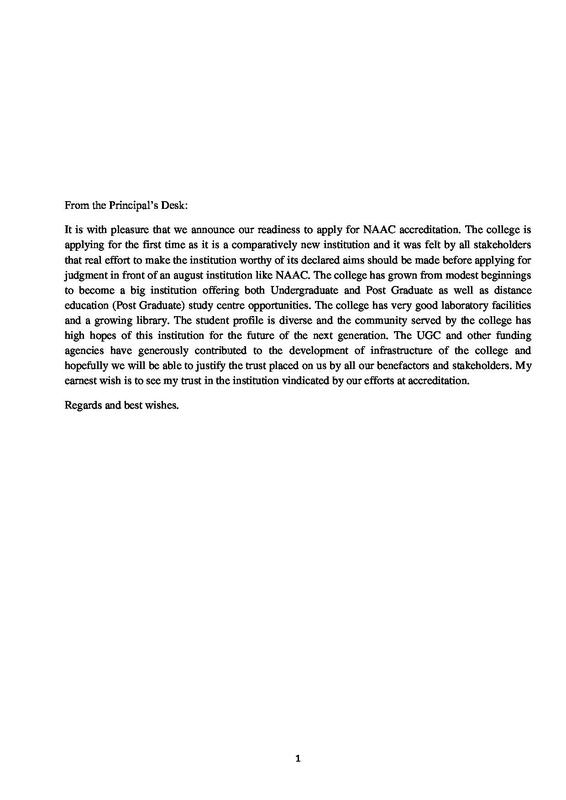 Hi Priya Pandit, To get the information about to continue studied in this college please contact to this no. 033-24523699.
how to apply at ur college for PG in Geography? Hi Nibedita, for admission details, please contact the College.